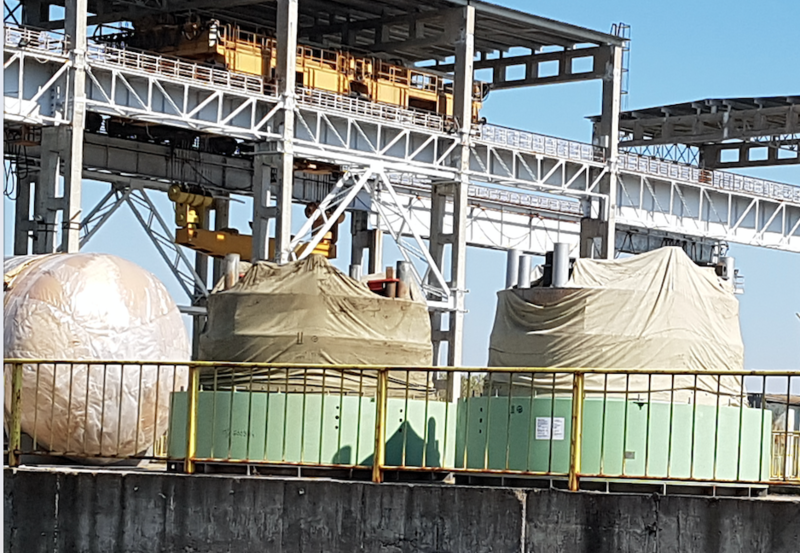 Bivol has repeatedly investigated and published stories about criminal actions or inaction related to the construction of the Nuclear Power Plant (NPP) in Bulgaria’s Danube town of Belene. Many billions of State money have sunk in this “black hole” and continue to sink. Belene has become a convenient way to drain Bulgaria’s budget without any sanction from law enforcement agencies, such as the prosecutor’s office. The position of current Prime Minister Borisov on the NPP keeps changing over the years. At the beginning of his rule, he declared himself firmly FOR the completion of the NPP with the active participation of the State. In mid-2011, without any apparent justification, Borisov woke up one morning with a fundamentally different opinion – that Belene was detrimental to the budget and to national security and construction must be stopped immediately. Meanwhile, Borisov is also directly responsible for the heavy loss from international arbitration in which Bulgaria was ordered to pay the Russian side BGN 1.2 billion for the discontinued project. It was precisely Borisov who ordered in the last days of his second term in office to pay the money ahead of schedule and with the speed of light, without the Bulgarian side even attempting to appeal the unfavorable and directly affecting our national interest ruling. The investigations and the scandalous facts that Bivol has so far revealed and published on this subject, (and they are not disproved by anyone), will be discussed below. In his third term as Prime Minister, Boyko Borisov is currently singing the Belene mantra once again; he talks with Russian President Putin about the NPP’s future and officially declares that the project needs to be completed and a strategic investor sought. Whether this is political psychopathy or bipolar disorder, it is extremely expensive for the poorest country in the EU. In the course of its latest investigation, Bivol was able to obtain documents proving the irresponsible State policy regarding the Belene NPP project. We have good reason to believe that the former Head of the National Electric Company (NEC), Krassimir Parvanov, has committed an abuse of office which led Bulgaria to be ordered to pay the Russians the BGN 1.2 billion. Exceeding his powers, he has signed the crucial Addendum 12 to the 2006 Agreement between NEC and Russian Atomstroyexport (ASE) for the construction of two Belene NPP units. His signature irreversibly commits NEC to a specific investment in the plant. Later, the Russian side used precisely this text as a key argument for filing in Geneva the lost by Bulgaria arbitration case over its decision to end the project’s implementation. Instead of being investigated and convicted, the person responsible for the damage, worth billions, recently received a political promotion and was appointed Deputy Minister of Energy in the third cabinet “Borisov”. The logical explanation for this move is that Parvanov’s silence had to be compensated. So far, all evidence suggests that he has been only a dummy for the real culprit – Prime Minister Boyko Borisov, as supported by the new documents, obtained by Bivol, including Addendum 12 itself. Arbitrariness is the softest definition of the actions of Krassimir Parvanov as Executive Director of the largest State energy company – NEC. In his capacity as such, he signed the fatal Addendum on March 31, 2011. Immediately after this, then-Energy Minister Traicho Traikov dismissed him and Boyko Borisov took him back at the post and even reprimanded Traikov. Borisov explained to the media that Parvanov had not actually been fired, and, at the insistence of then-Finance Minister and Deputy Prime Minister, Simeon Djankov, who was in the USA at that time, he had to wait for his return so that he could personally express his opinion on the entire affair. In the end, Parvanov was dismissed on April 14, 2011, without anyone being able to understand what exactly happened. Traikov received a “final warning” from Borisov, and was fired several months later. In his explanations to the media at an emergency press conference after his dismissal, Krassimir Parvanov said he had received a written permission by Djankov to sign the documents. “I had a written” yes” by email from Deputy Prime Minister Djankov, who is in charge of the energy sector. Minister Traikov was notified of every single word in the text of the agreement. The final version was also agreed with him. I talked to him several times and he continued to think. I sought Minister Djankov after I could not find the Minister (Traikov) because he was not answering his phone,” Parvanov said. However, Simeon Djankov denied before Bivol sending such a message to Parvanov. Bivol’s attempts to obtain a comment from Krasimir Parvanov remain unanswered. In a statement before the National Assembly, Traicho Traikov also denied Parvanov’s words that the signed document had been agreed with him. He argued that by March 31, there had been a text of Addendum 12, agreed by the Bulgarian and Russian side, which did not contain a commitment to a final engineering, supply and construction contract within any fixed deadlines. This document could have been signed, but Parvanov had signed under quite a different text – the original Russian version, despite Traikov’s explicit order not to do it. Asked by Bivol whether the prosecution had been notified about these violations, Traikov replied that he had filed a signal with the National Security Agency (DANS), obviously a fruitless one. It seems from the above that someone is lying. There is, however, another option that was not discussed in the height of the scandal in 2011, but appears very logical today: Parvanov having received permission directly from Prime Minister Boyko Borisov. However, the problem here is not even about who had issued the orders. The only legitimate way to obtain the authorization for such a signature is to have explicit permission from the Board of Directors (BD) of the Bulgarian Energy Holding (BEH). This is according to the statutes of NEC – not Traikov’s order, not an email from Djankov, not a call from Borisov, but a decision by the meeting of BEH’s BD, approved by the majority of the members of the Board, is the key proof that could clear Parvanov. Such a decision is missing, according to the documents available to Bivol. Parvanov’s signature as Chairman of the BD of NEC was laid under Addendum 12 on March 31, 2011. He managed to obtain the approval of the NEC Board on March 31, 2011, at 6:30 pm, the minutes from the meeting show and there, it is explicitly stated that the signing of Addendum 12 can only be done after permission of the BD of the BEH. A letter from NEC to BEH was issued only on the following day – April 1, 2011 – requesting authorization for the signing of the Addendum, ie after the same was signed the previous day. Permission by BEH was never received. The procedures laid down in the statutes of State-owned companies had been breached. With the signing of Addendum 12, there is every reason to believe that Parvanov has committed an offense – abuse of office as Executive Director of the NEC BD. The damage to the State, for which Parvanov should be held responsible, provides for imprisonment of three to 10 years. Responsibility can also be sought from Parvanov’s direct superiors for failing to exercise control after becoming aware of the committed offense, namely the directors of BEH, as well as Minister Traikov, himself. It can be assumed that the “BGN 1.2 billion-signature” under the document has happened after an intervention from someone higher-up. It seems unbelievable that Parvanov would lose his mind to the extent of doing on his own something of this dimension and with such implications. Whether this is the case can only be confirmed or denied by Krasimir Parvanov, himself, if and when he is investigated and tried in a court of law. The Arbitration Tribunal ruling and the motives to award BGN 1.2 billion to Atomstroyexport are over 400 pages-long and can be found in Balkanleaks. Nevertheless, ASE’s reasons to turn to the Tribunal boil down to a few phrases. Careful reading and comparing the clauses in Addendum 12 with the text of the arbitration award reveal that precisely these clauses have been used by ASE to justify a complaint against NEC. Ultimately, the document signed by Parvanov has unlocked the process leading to the enormous financial damage to Bulgaria. An extremely important argument of which three governments had been aware was not used at all in the case. As early as 2006, the former Director of the “Belene” NPP, Engineer Ilcho Kostov, established through a careful inspection the existence of cracks all over the reactor block, on its entire thickness and depth, caused by the technology for concrete reinforcement, applied by ASE in the late 1980s, when the construction works began. This had been concealed by Russian contractors, and Bulgaria had already paid for this construction garbage. The evidence of this fault, which could have turned the arbitration case in favor of Bulgaria, has been repeatedly reported by Kostov to the government and the law firm White & Case, which defended Bulgaria in the arbitration court in Geneva. Borisov had been informed by the Engineer in a personal conversation, and official letters had been sent to current Energy Minister Temenuzhka Petkova. All of them had ignored this key information which speaks of something more than negligence or lack of interest. Bivol repeatedly called on the Prosecutor’s Office to examine existing documents and expert evidence and launch an investigation into infliction of deliberate damages against the interests of Bulgaria in order to improperly favor the Russian state company, something that was met with complete silence by all media and all governmental and State institutions in Bulgaria. The questions to Borisov, Petkova, NEC and BEH – WHY they failed to use the extremely important evidence to win the case and WHY after the negative for Bulgaria court ruling, they did not even file an appeal, remain unanswered. Only Bivol conducted an investigation and exposed the truth. Още веднъж: клаузите в Допълнение 12, с които Красимир Първанов е ангажирал българската държава, са станали повод и аргумент за завеждане на иска на АСЕ срещу НЕК. Без този анекс арбитражното дело, което ощети бюджета с 1,2 милиарда лева, едва ли щеше да бъде изобщо заведено. Bivol proved that in the course of the arbitration case, the interest of the Bulgarian side was utterly harmed by the law firm White & Case, which was in a serious conflict of interest. While representing Bulgaria’s NEC against the Russian State-owned ASE, the law office also had a contract to represent the Russian Federation in the case for USD 50 billion against oil giant Yukos – a much more lucrative contract than Belene. It also turned out that the arbitral tribunal administrative secretary in the arbitration case had Russian citizenship, but no one had asked for his withdrawal. The court loss was followed by a series of even more strange actions by the law firm and the cabinet “Borisov 2” – failure to appeal on time in the Swiss Supreme Court and refusal to seek legal protection in a Bulgarian court from which ASE should request recognition and enforcement of the arbitration ruling. The logical and normal approach in such cases is to appeal the arbitration decision to the local jurisdiction where the arbitration case had been conducted. This was done by the Russian Federation in the Yukos case, through this same law firm – White & Case, which won at first instance. The Court in The Hague, where Russia lost to Yukos in 2014, overturned the entire arbitration ruling. Instead, White & Case advised NEC to not log an appeal with strange arguments – Swiss courts rarely recognized appeals, the cost of such litigation was high and interest was accruing, there was a risk that ASE could ask for NEC’s bankruptcy and sell the equipment to secure its receivables. Borisov appeared on all media and used the Russians’ talking points to explain why it was best to pay them immediately and without hesitation these billions from Bulgarian taxpayers’ pockets. All this indicates that Borisov’s government had no desire or intention to protect the taxpayer and State interest in the ASE case, but rather pay Russia without resistance BGN 1.2 billion. Against this, we received equipment that is now abandoned and rusting on the Danube bank. The Prosecutor’s Office remains idle all while it is obvious that charges should have been pressed for the signing of Addendum 12. But, again, there is a logical answer for all this. According to Bivol’s analyzes and informed sources in the nuclear industry, Krassimir Parvanov was promoted to Deputy Minister of Energy in the cabinet “Borisov 3” to be rewarded for keeping the Belene omerta and concealing the direct intervention of the Prime Minister in signing the detrimental contract that was later breached deliberately.